Downstairs, Jimmy Buffet's Land Shark Bar and Grill is a popular hangout, and a great place to grab a drink or some dinner watching the waves roll in. 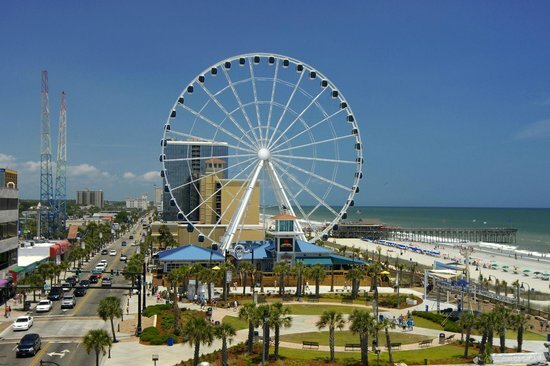 The Skywheel is open daily from 11 am to 12 am. Standard tickets are $14.00 for adults, $9.00 for kids 3-11, and kids 2 and under ride free. VIP gondola tickets with no waiting in line and twice the ride time are also available! Head down to the Boardwalk today and check out the best view of the Myrtle Beach coast anywhere! Check out their website for more details.